You can read an original Aurorian Article, dated September 2004 here. 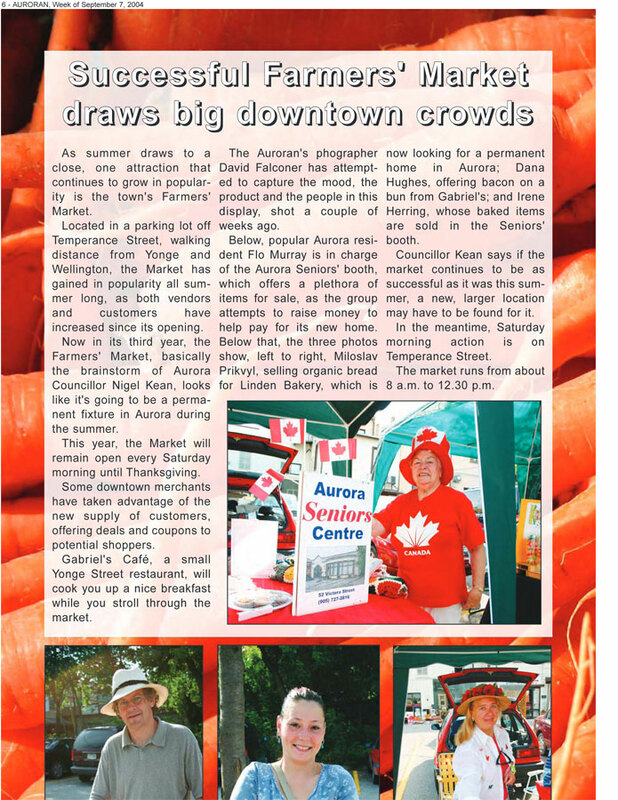 The Aurora Farmers Market began in 2002 in the parking lot of Temperance at the suggestion of Councillor Nigel Kean. At that time, there were only about six vendors, including few local farmers. Gradually the market grew and more varied vendors joined. Within a few years, Councillor Steven Granger replaced Councillor Kean and shepherded the fledgling market to new quarters on Wells St. and Town Park. 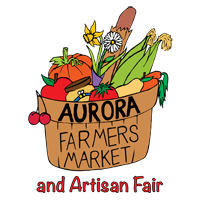 At that time, the market was still officially sponsored buy the Town of Aurora. Soon after, as the market continued to grow, it became independent and self governing. Today, we have a Board of Directors, a Constitution, two staff and student volunteers. We maintain our status as a ” True Farmers Market”! We host approximately forty vendors at any given time, including farmers, food vendors, artisans and community groups. We have a Children’s craft every Saturday. We host Special Events and entertainment approximately once a month. 8:00 am to 1:00 pm from the beginning of May to the end of October – RAIN OR SHINE!